Accessing the internet within your home is fairly easy and secure. Not unless you have shared you Wi-Fi with neighbors, it’s only your family members that will access your network. Any other place such as restaurants, train and bus stations, airports and other public spaces, you will need to connect to a public Wi-Fi to access the internet if you do not want to use your bundles. The public network may not be as secure as your home network. You never know who is controlling it and if the people using it are good. Most public spaces keep their Wi-Fi networks open to users. This could allow them to connect to the Wi-Fi network even from their homes as long as they are near the public facility. This ideally means that accessing the internet via a public network will expose your data in one way or another. But there are ways you can secure your data and use these public utilities safely. Here are a few tricks of what you should do. Avoid using any open public network that pops up on your smartphone. It would be safer to use well-known Wi-Fi networks of popular restaurants in your city. Those networks are not as free as you might think. You pay for them when you spend your cash in those restaurants. So, they have a duty to protect their clients. When you are in a new city, stick to the networks within well-established outlets. Do not log in to any open network that you get access to. Some are simply trying to steal private data. Remember, in such networks, your data is not only at risk from those running the network, but even from the users within that network. Even when on an open public Wi-Fi network in a restaurant like Java or Starbucks, you still need to disable features in your computer that allow you to share files with other devices. You also disable those that allow you to receive files from others. Malicious individuals may decide to send you corrupted files in an attempt to steal private data from your personal computer (PC). Make sure to turn all these features off. Apache HTTP server security update fixes multiple security vulnerabilities including the privilege escalation vulnerability that allows users to run PHP, CGI script to gain the root access. The vulnerability affects all the releases between 2.4.17 to 2.4.38, and it can be tracked as CVE-2019-0211. A low privileged user could execute arbitrary code with the privileges of the root process by manipulating the scoreboard. It affects Unix systems and the non-Unix systems are not affected, reads Apache security advisory. 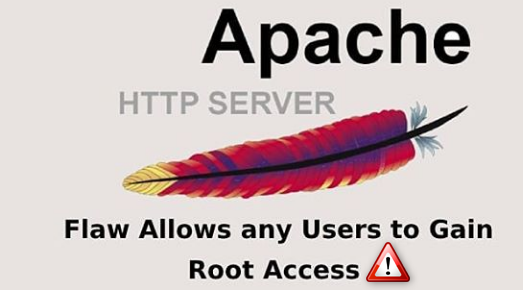 The vulnerability affects Apache HTTP Server between 2.4 to 2.4.38, a race condition in mod_auth_digest allows any user with valid credentials can authenticate using another username. The vulnerability can be tracked as CVE-2019-0217. A bug in mod_ssl allows a client with TLS 1.3 supporting Post-Handshake Authentication to bypass configured access control restrictions. The bug affects the releases 2.4.37 and 2.4.38 and the vulnerability can be tracked as CVE-2019-0215. The server’s with H2Upgrade enabled for h2 are affected, if they receive the request from http/1.1 to http/2, may lead to misconfiguration and crash. Sever that never enabled h2 protocol are unaffected. “http/2 request handling could be made to access freed memory in string comparison when determining the method of a request and thus process the request incorrectly”, the vulnerability can be tracked as CVE-2019-0197/CVE-2019-0196. If the path URL contains multiple slashes such as Location Match and RewriteRule in regular expressions may cause the server to collapse. The vulnerability affects the versions between 2.4.0 to 2.4.38 and it can be tracked as CVE-2019-0220.